We have been overwhelmed by the support from our families for this year’s Shoebox appeal. 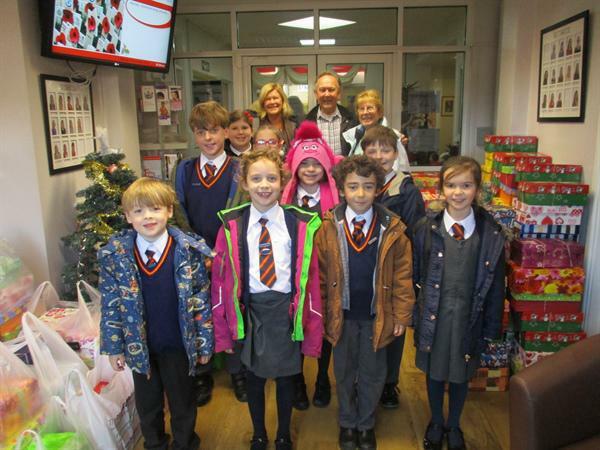 On Monday 28th November, our school councillors took the boxes to the Rayleigh warehouse, not only to safely deliver them, but also to experience what the packing depot was like. They had a fantastic afternoon accompanied by Mrs Wall and Mrs Lewis. We collected an amazing 213 boxes. On behalf of the Samaritans Purse Charity, thank you.